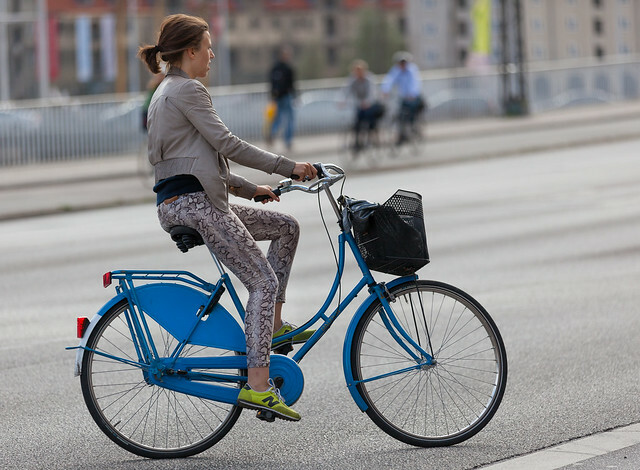 Not into the code of the Fashion Police I can only state the incontrovertible; Leggings and Jeggings are galore here in Copenhagen. 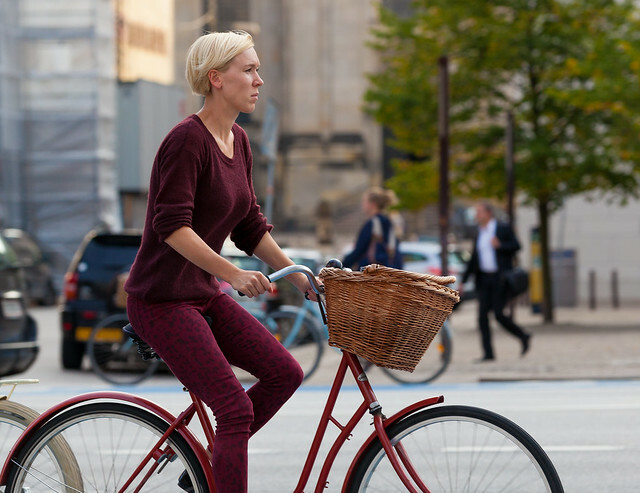 Comfortable, practical and warmer than stockings they go really well with biking. Above; stylish flower patterned jeggings. Below; half&half borderline Bordeaux. Elegant snakeskin leggings topped off with a matching leather jacket – way off limits according to some. But what’s not to like? Wow-outfit; see-me silver coded leggings with point blank stilettoes! 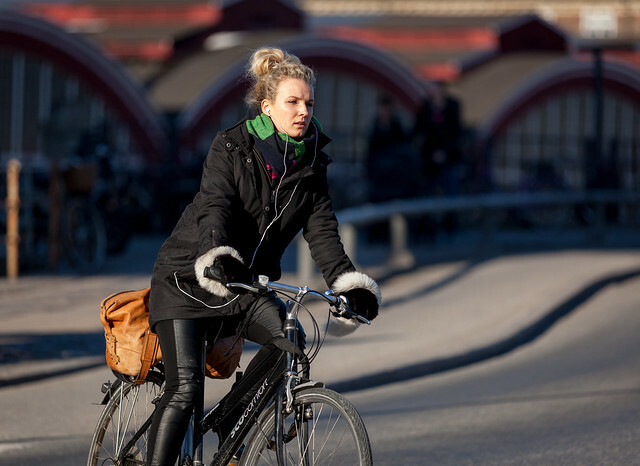 Finally, a Copenhagen favorite; traditional leggings with a protective wind shell for those frosty & windy mornings. Those "traditional" leggings look a bit fancier than that. Looks like leather front, spandex back. Whatcha think?